Not everything is about checking a box or proving the right statistics, some cars are all about the enjoyment. There was no way to skip paying tribute to the Toyobaru twins and their great rear drive architecture, both of which reminding us that Toyota can still manufacture fun cars and that Subaru can create other cars than AWD. Both cars are also coming at a great price of around $25,000 and as a bonus – you don’t have to do anything to make them better. They are ready to hit the tracks straight after they exit the factory. It seems that the Civic Si community is now redirecting its attention to the twins – and of course it will - rear-wheel drive is the best. 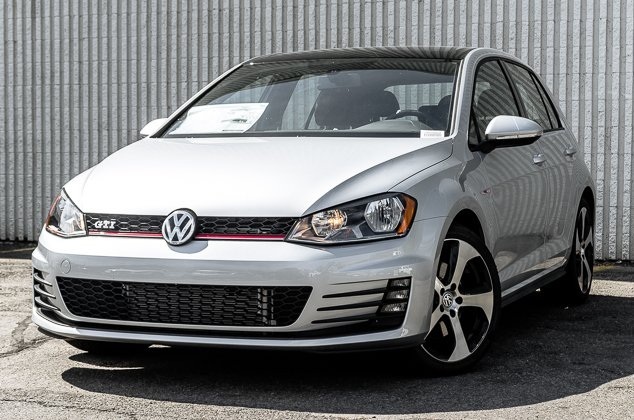 The VW GTI out of the four best affordable ride is the car most suitable for adults. And as far as interior goes – the GTI is literally Mila Kunis in a car version. It’s pretty obvious that the designers of the car has literally done everything to make it look better than car that cost around twice as much. We can’t even comprehend how VW has managed to improve the GTI, whose last two models were also incredibly cool! This one, however, does feel faster than the 210 hp is comes with, it has fantastic steering, gearboxes, and torque steer. The GTI will make you look like an adult, and if you still live in your parents’ house – don’t you worry - the impression you’ll create will be the exact opposite of that.